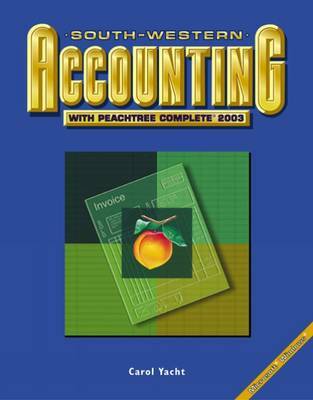 Instructors who want their students to gain experience using Peachtree software will find the practice and support they need with the new "South-Western Accounting with Peachtree[registered] Complete" text. This softcover text and accompanying CD are the ideal supplements to Century 21 Accounting for those looking for practice using commercial software. Students will gain experience in journalizing transactions, posting, and preparing financial statements using Peachtree. Available as an individual or site license, the CD includes complete Peachtree software, as well as the template files needed to complete the problems in the accompanying text.